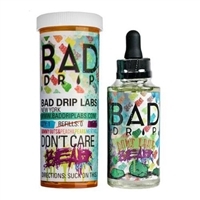 Uniquely packaged in medicine-style bottles, packaged with microfiber cloths and offered in thoughtfully designed flavors, Bad Drip vape juice is one of the top-selling juice lines in the vape industry today. 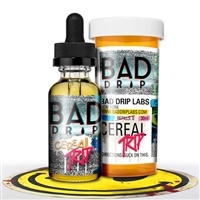 Bad Drip flavor options range from the classic cereal-inspired flavors to rich, fruity and buttery - all with fun, unique names and a taste that will keep you coming back. 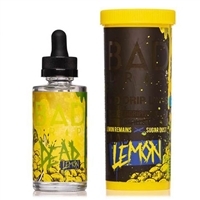 These 60ml Bad Drip e-juice bottles are priced to sell at extreme discounts, making the Bad Drip e-liquid online through EJuice Connect a steal! Satisfy your need for cheap Bad Drip juice with EJuice Connect for the lowest public wholesale prices.